Professor Alicia K. Matthews, Ph.D. Associate Professor University of Illinois at Chicago College of Nursing, Chicago. Associate Professor of Nursing Dr. Alicia Matthews is a clinical psychologist and an associate professor of health systems science in the UIC College of Nursing. She is a national expert on the factors associated with cancer-related health disparities among underserved populations, including African American and LGBT persons. She is has served on three Institute of Medicine panels related to health disparities and health equity and has received multiple federally funded grant awards. Currently, Dr. Matthews is funded by National Institute on Drug Abuse to conduct a randomized clinical trial of a culturally targeted smoking-cessation intervention for LGBT smokers. 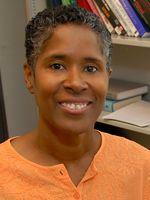 She has been awarded as IHRP Fellow 2014 Healthy Chicago Award Helen Grace Diversity Scholar, UIC College of Nursing. Lee JG, Matthews AK, McCullen CA, Melvin CL. Promotion of tobacco use cessation for lesbian, gay, bisexual, and transgender people: a systematic review. Am J Prev Med. 2014 Dec;47(6):823-31. Matthews AK, Li CC, Ross N, Jodi Ram BA, Ramsey R, Aranda F. Breast and cervical cancer screening behaviors of African American sexual minority women. J Gen Pract. 2013;1(107):2. Matthews AK, Li CC, Kuhns LM, Tasker TB, Cesario JA. Results from a community-based smoking cessation treatment program for LGBT Smokers. J Environ Public Health. 2013;2013:984508.